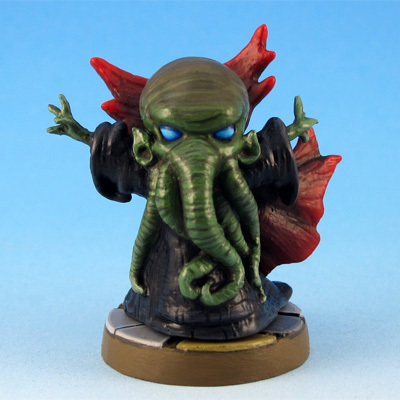 As advertised I present a fourth Arcadia Quest mini at the end of the month – Sonja. 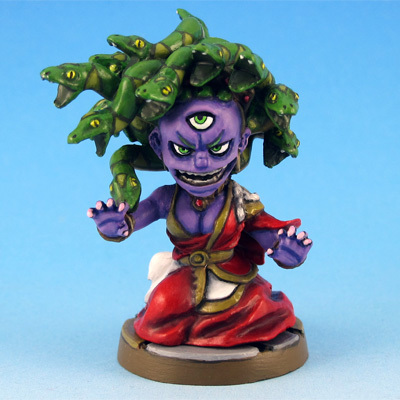 She was the first exclusive of the Arcadia Quest KS and in my opinion one of the best minis of the game. She is also a great alternative to the Claw Tribe Babarian in SDE. 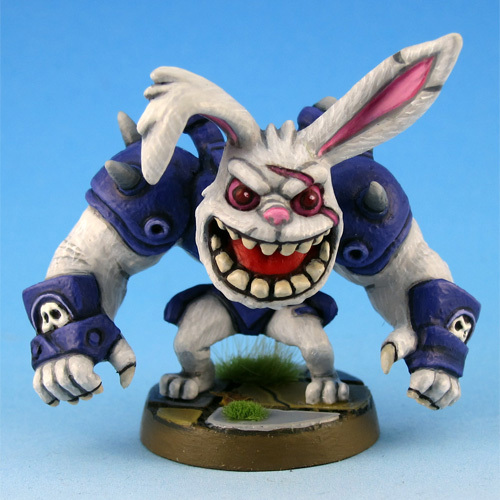 Who could resist painting a giant mutant rabbit, which barely fits on his base? I sure could not and so I present Nibbles as the third mini in my Arcadia Quest month. One more Arcadia mini to go. I’ve selected four minis from the Arcadia Quest Kickstarter I want to paint and I’ll try to get one done each week of march. Elysia was the first and last week I painted one of the other main reasons I backed this Kickstarter: Chooloo. I’m not a big fan of Cool Mini or Not and their decision to use Kickstarter as a distribution plattform for obviously completely finished games, but their Arcadia Quest Kickstarter intrigued me. The style of their minis is close to SDE and although I did not care for most of the minis, some of them were very nice. I will be painting some additional minis from the set in the coming weeks.